Yellow straw color. 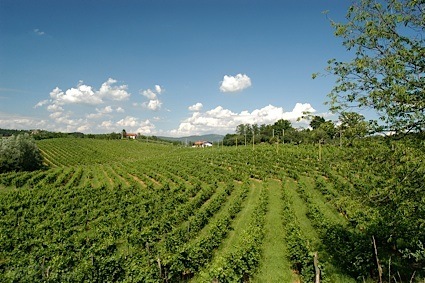 Mature, funky aromas and flavors of ginkgo tree, bruised and fallen pineapples and apple, overripe papaya, and latex with a glycerous, vibrant, effervescent, moderately sweet medium body and a smooth, breezy finish with fine, fruit tannins and no oak flavor. A funky sweet sparkler for budget festivities. Bottom Line: A funky sweet sparkler for budget festivities. 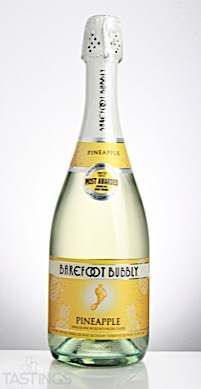 Barefoot Bubbly NV Pineapple Sparkling Dessert Wine, California rating was calculated by tastings.com to be 81 points out of 100 on 9/18/2017. Please note that MSRP may have changed since the date of our review.